Hotel buffets need not be the most extravagant and fancy; we are happy if the food is good and the price is reasonable. 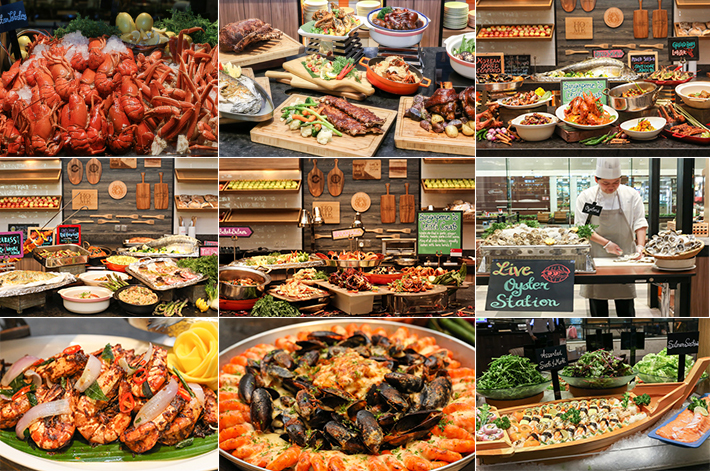 Royale at Mercure Singapore Bugis has constantly been on our list of affordable buffet spreads in Singapore since its opening and we are giving you another reason to love them. For the next three months, Royale is going to pay tribute to Asia’s dynamic flavours. The new Rasa Sayang BBQ Buffet is the next buffet with local spread to try. It is super value-for-money and it is like enjoying all your favourites at Chomp Chomp Food Centre in a comfortable air-conditioned environment for just one price. From 01 June to 26 August 2018, indulge in a huge array of local goodies which features an extravagant lineup of over 30 local and Asian delights. You may quote ‘ladyironchef’ to enjoy 30% off the buffet upon making reservations from Sundays to Thursdays, and 20% off on Fridays and Saturdays. Do note that the discounts are not applicable on Father’s Day, Eve and Public Holidays and it is limited to a maximum of only 10 diners per booking. We are always up for a buffet that pays tribute to Asia’s vibrant culinary traditions and if you are someone who enjoys the rich and diverse flavours of Southeast Asian recipes and are always on a hunt for affordable buffets, try Window on the Park at Holiday Inn Singapore Orchard City Centre. Year after year, Window on the Park has been constantly expanding and refining their buffet spread. Featuring three Seafood Woks—Sambal tomato, black pepper and cream sauce—that comprise crustaceans such as lobster, crab, crayfish, prawn, clams and mussels, these new highlights at Window On The Park are the creations of Executive Chef Ivan Lim and his dedicated culinary team. The best part? From now until 14th May 2018, diners are entitled to one Seafood Wok per person on top of their popular 1-For-1 weekend dinner from Fridays to Sundays (S$96++ for two pax)! When it comes to value-for-money buffets in Singapore, J65 at Hotel Jen Tanglin Singapore is always among our top choices. Besides their competitive pricing, their themed buffet spreads are spectacular and the culinary team always has something new up their sleeves to keep things exciting. Featuring five buffet themes in a week, J65 is one dining destination that you can visit multiple times without getting bored of the food; there is something different every night. 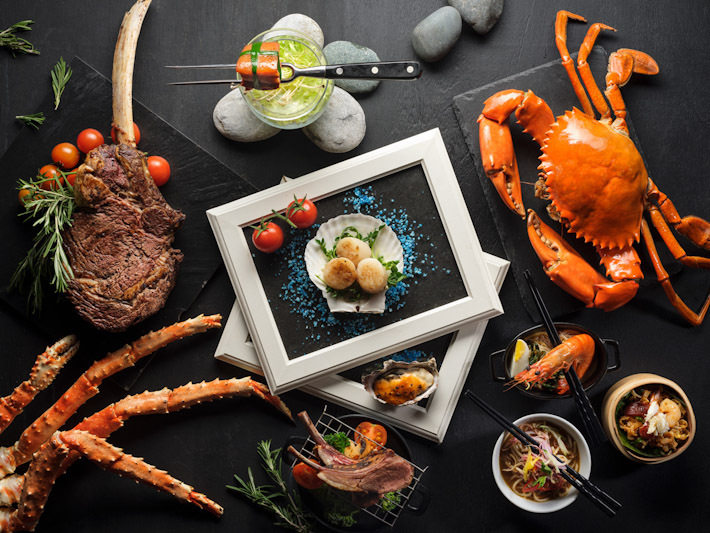 J65′s nightly themed buffet dinners were such a hit last year and they are bringing it back this year with two new themes—‘Asian Seafood’ and ‘What The Fish’ on top of the current International, Lobster Rock & Roll, and Seafood Madness themes. 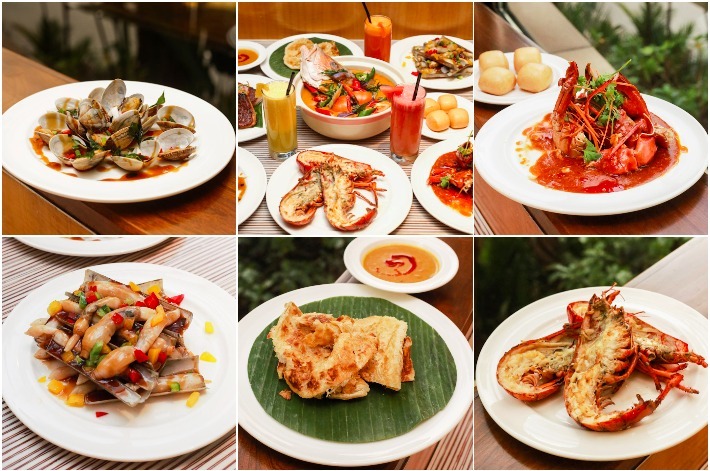 From local delights featuring the best of Singapore’s multi-ethnic cuisines to dishes inspired by flavours from abroad, J65 is an all-rounder where you are definitely able to find many star dishes that will capture your fancy. *Valid for first 100 confirmed reservations. Following reservations thereafter can enjoy 25% off on regular buffet price. The first 100 ladyironchef booking (min 2 pax) will also receive complimentary parking coupons at Hotel Jen Tanglin Singapore—limited to one per couple. 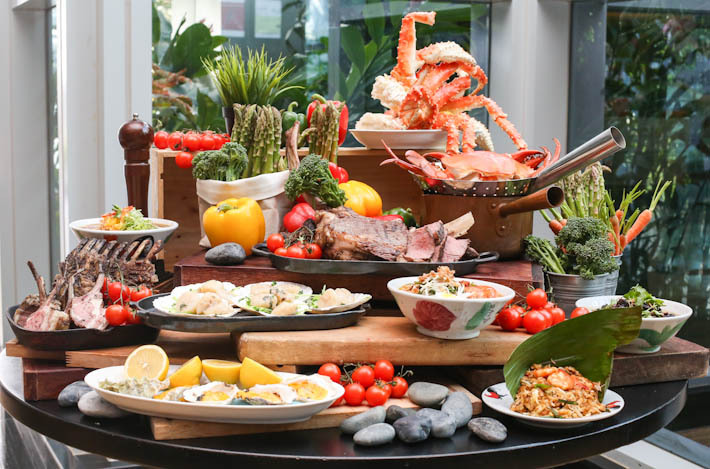 Pan Pacific Orchard Singapore’s 10 at Claymore has done it yet again; Chef Andy and his team have impressed us with yet another buffet spread that is bound to leave you salivating with anticipation. This time, Chef Andy and his team are giving their all as the restaurant will serve its last buffet on 31 March 2018. Pan Pacific Orchard, Singapore will close for redevelopment from 1 April 2018, and will continue to be managed by Pan Pacific Hotels Group. That’s right, we will definitely miss our feasts at 10 at Claymore; it has been so many years and it feels like home to us. Meanwhile, we sure look forward to the upcoming line-up which will feature ten of the all-time signature dishes in the last decade. For the month of March, enjoy a repertoire of Chef Andy’s signatures all in one seating—there will be Australian Wagyu Tomahawk Beef, Alaskan King Crab, Rack of Lamb, Pan Seared Canadian King Scallops and some of his classic Penang dishes such as Air Itam Assam Laksa, Char Koay Teow and Spicy Tiger Prawn Noodles. We have had the privilege of trying many stellar buffet dinners in Singapore, but this is one super epic buffet dinner at an unbelievable price; you’d be sorry if you missed it. From now until 31 Mar 2018, simply quote ‘ladyironchef’ upon making your reservations and you get to enjoy the very special price of S$105++ for 2 pax for this All-time Top 10 Eats At Claymore dinner buffet. Deal of the year though we are only into the 2nd month of 2018? We don’t doubt that. When it comes to crab and seafood buffet, our minds naturally gravitate towards Chef Low and his team at Ginger at PARKROYAL on Beach Road. Drawing inspiration from Singapore’s culturally-rich ethnic landscape, the chefs at Ginger never fail to impress us with their tantalising array of seafood offerings each time we visit. This Lunar New Year, usher the Year of the Dog with Ginger’s value-for-money buffet that will feature Boston lobsters in its Prosperity Trio. That’s right, lobster fans will be thrilled to hear that this all-day-dining restaurant is introducing a new Prosperity Lo Hei that swaps out the traditional salmon slices with luscious chunks of Boston Lobsters. Exclusively for the dinner buffet from 05 Feb to 02 Mar 2018, every table will enjoy one complimentary serving of the Prosperity Trio—customised to suit the number of your dinner guests. The Prosperity Trio, is a new and exciting creation by Ginger that essentially comprises lavish delights such as their Prosperity Lo Hei with Boston Lobsters, Braised Sea Treasures (Pen Cai) and Wok-Fried Lobsters in Superior Stock. Also making their debut on the buffet line are the Golden Sea Bass with Sha Sha Sauce, Barbecued Pork Ribs in Capital Sauce and Baked River Prawns with Garlic Shoyu (available from 01 Feb to 02 Mar 2018). Quote ‘ladyironchef x Ginger CNY’ to enjoy 25% off for both the lunch and dinner buffet. That means you only pay S$36++ per adult for the lunch buffet and S$58.50++ for the dinner buffet! 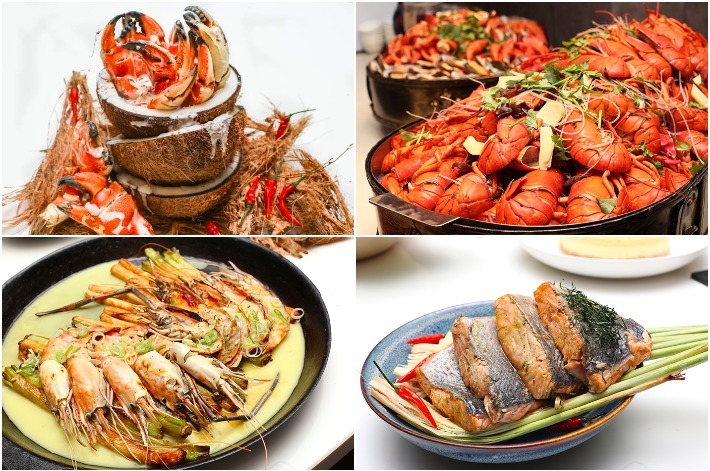 Since the restaurant’s grand opening this year, GINGER in PARKROYAL on Beach Road has never failed to delight our taste buds with the best crustacean buffet that is infused with local and regional flavours. Famed for its stellar seafood creations using only premium ingredients, GINGER’s new ‘A Clawsome Lobsters and Crabs Affair’ buffet lineup helmed by Executive Chef Low Hoe Kiat is probably the best news all shellfish aficionados will receive this month—it features unlimited lobsters, crabs, salmon and river prawns! 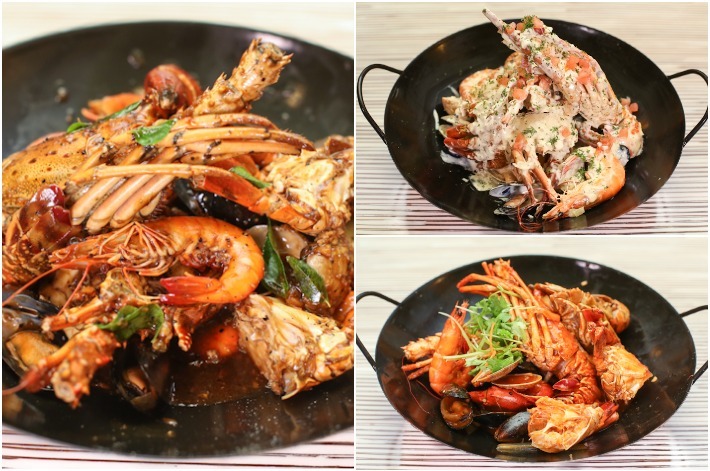 Diners will get to enjoy an unbeatable spread of Pan-Fried River Prawns, Wok-Fried Crab In “Sacha Sauce”, Braised Crabs In Aged coconut and Stewed Lobster With Ginger in Superior Stock among others. You know Chef Low never fails to deliver. When it comes to impeccable dining and service standards, no one puts two and two together better than Pan Pacific Orchard, Singapore’s 10 at Claymore. This affordable buffet restaurant is among one of the most popular dining destinations in the city and is a true highlight for carnivores and just about anyone else who appreciates an endless spread of indulgent treats—from local favourites such as prawn noodles to crêpes that come with a selection of sweet toppings of your choice. 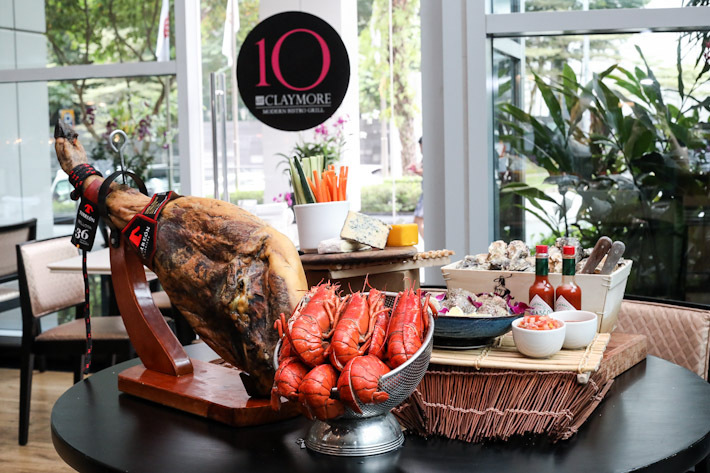 In the months of October and November, gear up for 10 at Claymore’s brand new dinner buffet lineup, themed Epicurean Treasures – Jamón Ibérico, Belon Oysters and Lobsters, that will feature a luxurious spread of Jamón Ibérico from Spain, Belon and Fine de Claire oysters from France and Boston lobsters. These star attractions, in addition to the rest of the buffet spread, can be enjoyed at only S$98++ for 2 pax all week from 01 October to 30 November 2017 when you quote ‘Ladyironchef-Dinner Buffet’ upon making reservations. 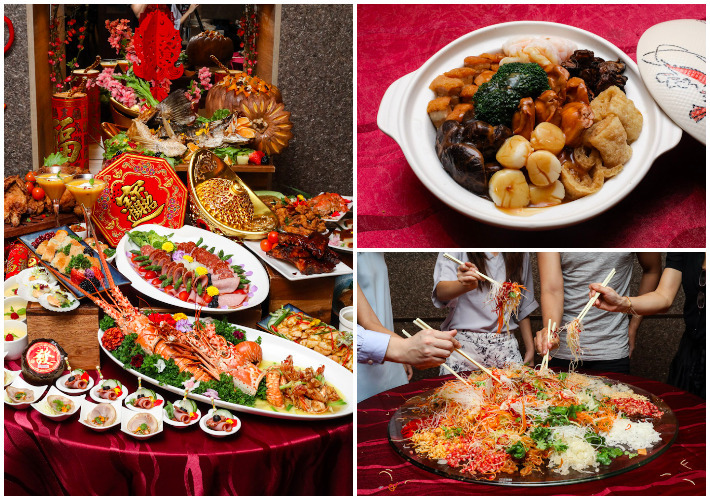 So gather your friends and family because this is one epic buffet to indulge in! Window on the Park at Holiday Inn Singapore Orchard City Centre has a lobster buffet spread that focuses on Asian delights, though there are still international elements. Paying homage to the ASEAN Golden Jubilee and the region’s rich culinary heritage, Window on the Park will be showcasing culinary styles and dishes from Thailand, Malaysia, Indonesia, Vietnam and Singapore. 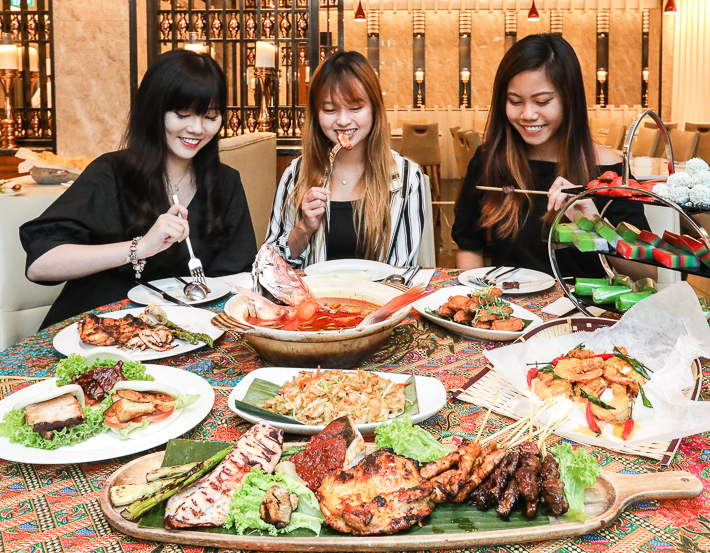 This is part of their Southeast Asian Culinary Dinner Showcase that happens every evening from Monday to Thursday and it is only going at S$80++ for two pax. And as you gear up for the weekend from Friday and through to Sunday, reward yourself with the ultimate seafood treat—the Boston Lobster Weekend. 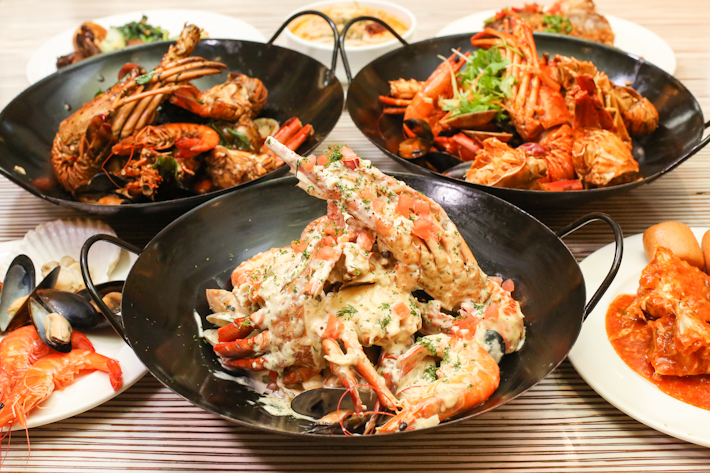 Making its debut at the live station is the pan-seared Boston lobster as well as a myriad of seafood indulgences including baby lobster, fresh succulent prawns and scallops—all this for a steal of S$96++ for two pax! Window On The Park’s buffet promotions will be available from now until 30 November 2017. While many other buffet restaurants out there pride themselves on having the largest and most extensive range of food and cuisines, Window on the Park adopts the ‘less is more’ approach by dishing out a substantially sized spread of only the good stuff, allowing diners to be able to savour each and every item before their bellies beg them to stop. Read on to find out just what stellar creations they have in store!